Humans are dominating evolutionary processes, according to synthetic biologists. But who is dominating decision-making about human futures? It’s a summer day in suburbia, and the lawnmowers are going. As well as cutting grass, residents plant shrubs, remove or poison weeds, and in generally intervene to make their yards look the way they want. We hear all the time about the importance of evolution in the origin and development of species. The usual idea is that some species thrive and others die out. When there is a mutation or gene recombination favourable to survival, it will spread, so the combination of genetic variation and environmental pressure leads to genetic changes and eventually to species changes. However, what happens daily in suburbs goes against the standard thinking, because humans are making the decisions about which species survive, by introducing desired plants and getting rid of unwelcome ones. This is a type of “unnatural selection,” according to Juan Enriquez and Steve Gullans in their book Evolving Ourselves (2015). Suburban gardeners might be small players in global evolution, but then think of urbanisation and agriculture, including interventions such as irrigation, fertilisers and pesticides, now covering a significant proportion of the earth’s surface. The areas for traditional natural selection are limited and are being replaced by human-influenced selection. Then there is molecular biology, in which scientists insert genes in places where they would not occur naturally, creating new genetic sequences. Enriquez and Gullans call this “non-random mutation,” and say it is replacing the random mutation that was the basis of Darwinian natural selection though evolution on earth, until recently. Evolving Ourselves is an entertaining ride through the science and social implications of humans taking over their own evolution and that of other species. 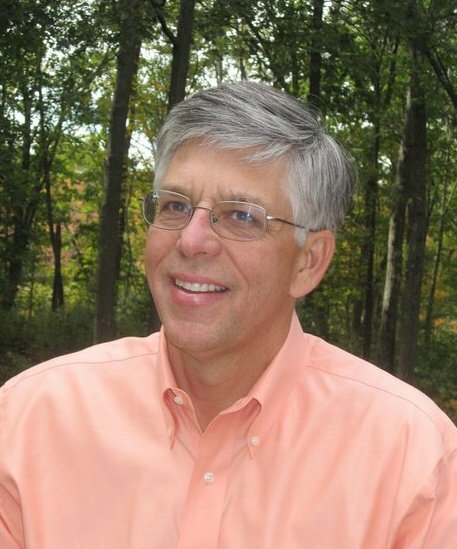 Enriquez and Gullans have a lot of fun in the way they write, and cover an astounding array of topics, for example allergies, autism, diet, obesity, reproduction and the decline in human violence. Some of the developments are here today, some are experimental and some are speculation. 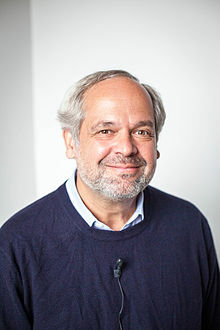 If Enriquez and Gullans’ thinking becomes reality, so-called synthetic biology will have impacts comparable to information technology, and indeed will interact with it in significant ways. As I will discuss later, a key omission in their treatment is the question of who makes decisions about synthetic biology. DNA is the basis for inheritance. According to previous conventional teaching in biology, the environment does not affect DNA. That it might was rejected as heresy, called Lamarckism. Enriquez and Gullans describe how this perspective is outdated. They say that humans have four genomes, or genetic systems. The first is DNA, in cells, the basis of traditional genetics. The genes in DNA are not affected by the environment, but their expression can be affected in a process called epigenetics, that can have long-lasting effects on species. Enriquez and Gullans start with the example of the famine in the Netherlands in the end of World War II, triggered by a Nazi blockade. Although Dutch DNA was not directly affected, the effects of the famine were experienced through several generations by chemical tags that can activate or deactivate individual genes. 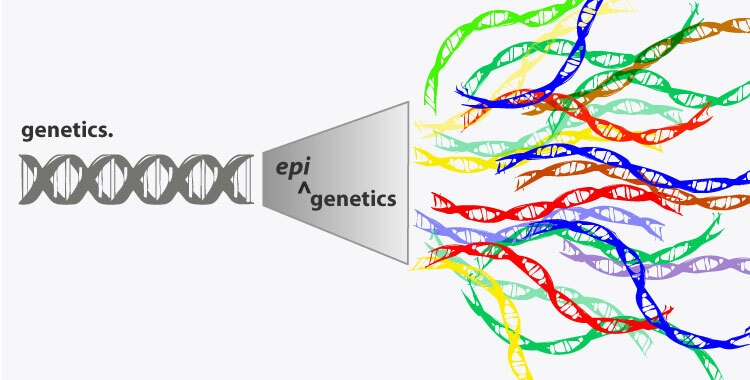 Research on epigenetics is booming. The implication is that the massive environmental changes in human lives – including processed food, sedentary lifestyles, watching small screens, and chemicals in the environment – can be affecting human evolution, epigenetically through genes being switched on and off over generations. Part of the environment that affects humans is microbes: bacteria, viruses and parasites. 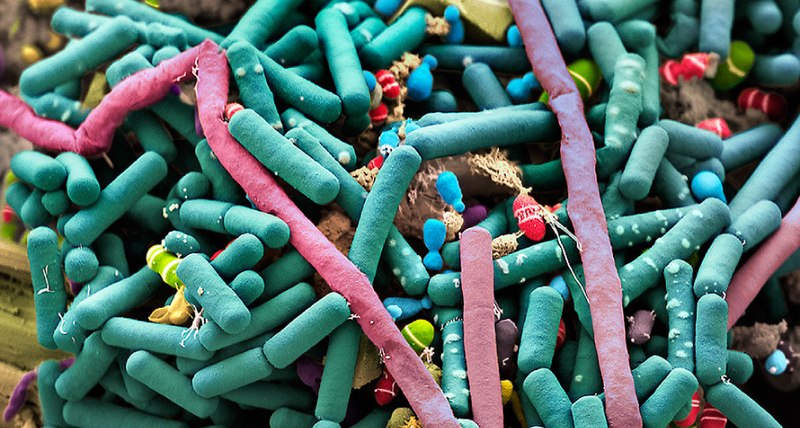 Microbes have caused more deaths than all wars. Enriquez and Gullans describe an ongoing war against microbes, through four stages: vaccines, antiseptics, antibiotics and antivirals. These massive wars against microbes have largely been successful, but there is a fightback, for example antibiotic-resistant infections. The story for Enriquez and Gullans is about evolution, and so they introduce the third human biome: the huge number of microscopic organisms that live on us. These organisms, which interact with us, have their own collective genome. What’s interesting is that we are changing human evolution by changing the microbiome, including through the wars against microbes. Then there is the human virome, composed of viruses that live in cells and in bacteria in the microbiome. Virome DNA is the fourth human genome, along with the core DNA genome, epigenome and microbiome DNA. The environment affects these four genomes through Diet, Enriched environment (information and so forth), Stress, Toxins, Infections, Nurturing and “You” (human decision-making), giving the acronym DESTINY. Humans are driving evolution by changing their environment, affecting the endocrine system, the nervous system and the immune system, all of which affect expression in the genomes. One top of this, molecular biologists are inserting genes in all sorts of unusual places, with the potential to dramatically alter the usual pattern of evolution. Rather than evolution occurring by natural selection applied to genetic changes that also occur “naturally”, molecular biologists are practising a type of “unnatural selection” by making the choices for genetic change. Enriquez and Gullans say these developments are occurring in a wide range of labs. There is no centralised control, but overall the outcome is a different sort of evolution, a form of human-instigated “fast evolution”. Indeed, the technology and skills for genetic transformation are becoming accessible to people outside the scientific mainstream, in what can be called do-it-yourself synthetic biology. 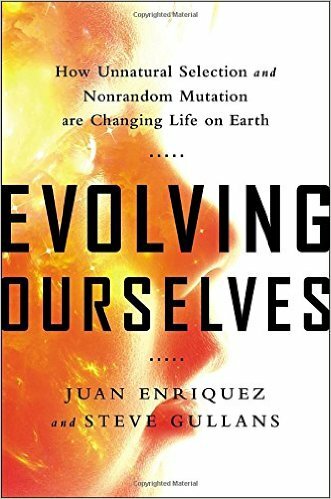 Enriquez and Gullans make a good case that humans are dramatically altering their evolutionary path, very rapidly, through the two processes of unnatural selection and non-random mutation. From this they move on to other possible developments, some of them sounding like science fiction. They discuss them as real possibilities, giving evidence that makes them sound just around to corner, or maybe a few decades away. Individuals could be bioengineered for extraordinary athletic abilities, in conjunction with designer drugs, generating complex challenges for sporting authorities. Drugs could be developed that enter cells and change your DNA, allowing for all sorts of therapies and capacities. 3D optical neural implants could become standard, allowing interfacing with databases. This would potentially allow interventions into people’s brains, for example to reduce violence. 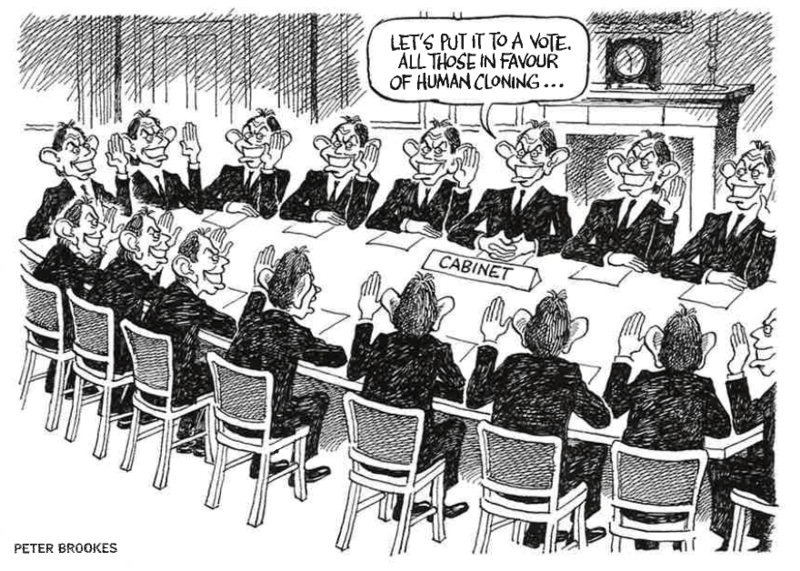 Body parts, such as arms or eyes, could be cloned and grown externally, so people become composed of organs they didn’t have at birth. People’s bodies can be reinvigorated so they can live far longer, perhaps centuries. Human minds could be downloaded and uploaded into new bodies. The human species could differentiate into multiple species. 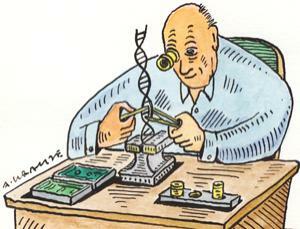 A key omission is any systematic discussion of the political economy of synthetic biology. In a typical fashion, the developments are seen as something “we” are doing and therefore “we” need to consider the implications. The role of vested interests, the possibilities for malign use, the lack of citizen oversight and the potential for exacerbating inequality in an unjust world are not addressed in any depth. Consider this statement by Enriquez and Gullans. The use of “we,” referring to humans, skates over the fact that decisions will be made by only a few people, not in a participatory process involving everyone. Their statement that “we are not going to give them up” is a clear articulation of technological determinism. This reminds me of the early hype about nuclear power, which was seen both beneficial and inevitable, despite its historical connections with nuclear weapons. Again note the use of “we,” hiding huge differences in power over human destiny, and the assumption that synthetic biology is unstoppable (“We will continue …”). Enriquez and Gullans make synthetic biology sound amazing, attractive and mostly positive, once the spectacular possibilities are considered. But it is also possible that the technology will be used for purposes many will oppose. Military researchers look at biotechnology as a potential tool against enemies, just as they look at every branch of science, indeed funding and monitoring research in numerous fields. It is salutary to remember that citizen campaigners have challenged and altered technological trajectories. In the 1970s there were plans for fleets of hundreds of supersonic transport aircraft. Due to opposition, only a few such SSTs – the Concorde and the Tupolev Tu-144 – were ever produced, and they fly no more. On a bigger scale, peace movements around the world have been instrumental in preventing nuclear war and in pushing for a shrinking of arsenals, though the goal of nuclear abolition is far from being achieved. Then there are movements for “appropriate technology,” in the widest sense, promoting energy, transport and other technological systems that serve human needs and are under the control of local communities rather than imposed by governments and corporations. Whether synthetic biology turns out to be largely beneficial or a catastrophe for the world will depend, to a large extent, on citizens being involved in discussions and campaigns about what sort of world is desirable. So read Evolving Ourselves for an entertaining view of future possibilities, but replace the authors’ assumptions about inevitability with a parallel perspective that might be called Deciding Ourselves. Thanks to Jason Delborne, David Mercer and Peter Taylor for valuable comments.